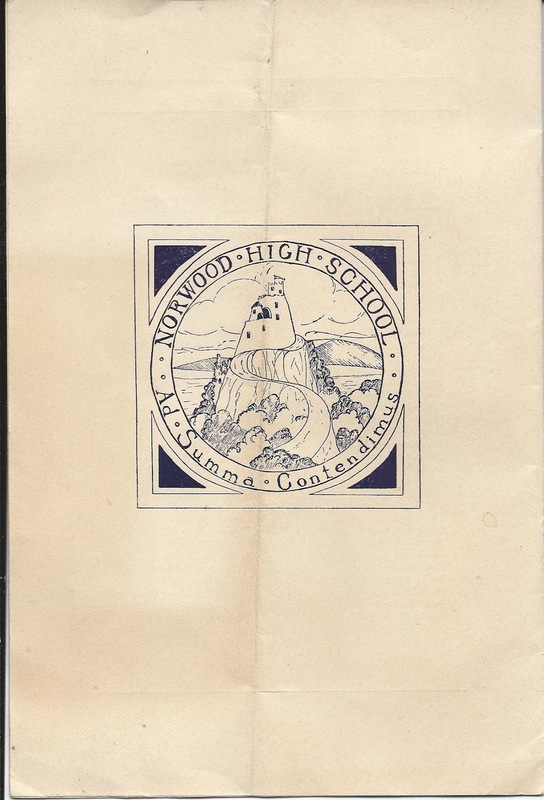 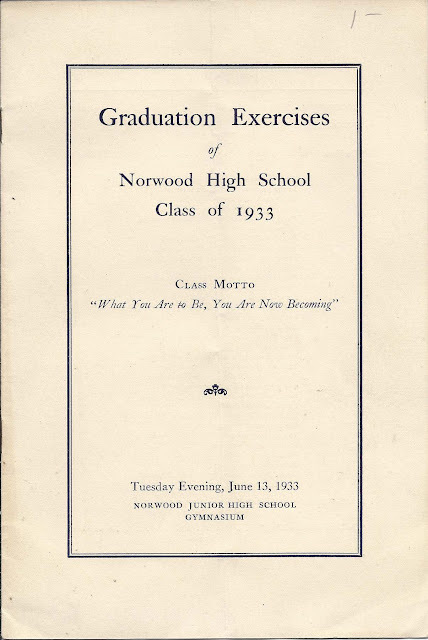 Graduation Exercises of Norwood High School, Class of 1933, at Norwood, Massachusetts. 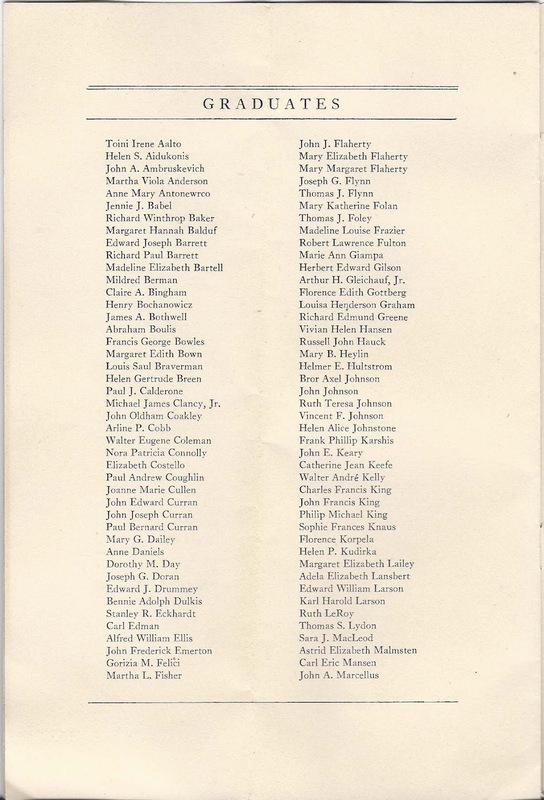 Two sheets of 12" x 9" paper, stapled and folded, to make eight panes. 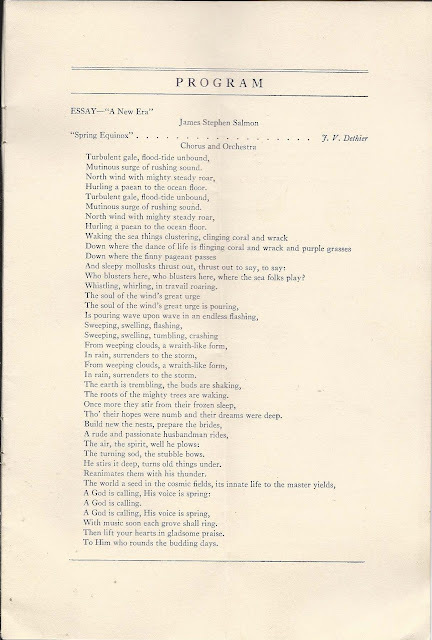 Essay - "Patriotism - What Is it?" 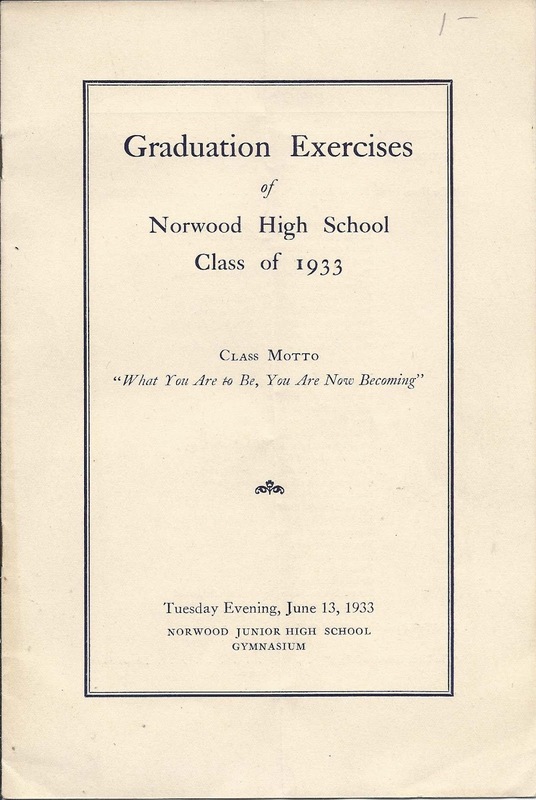 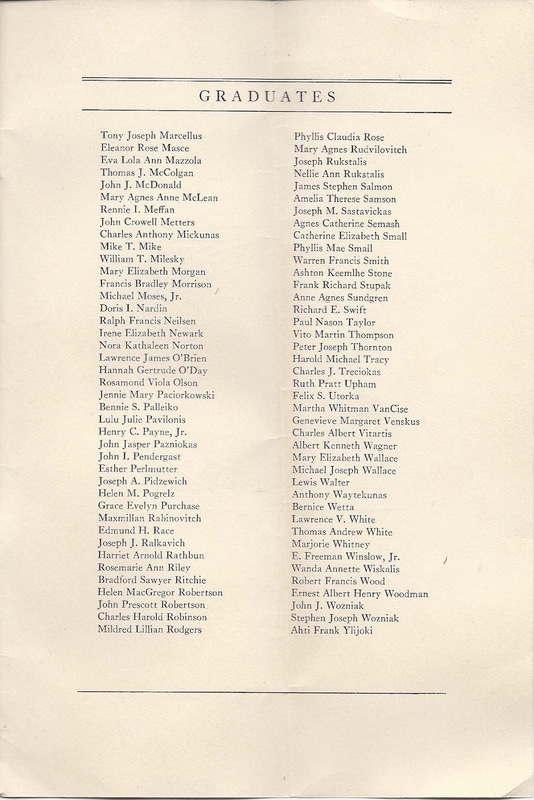 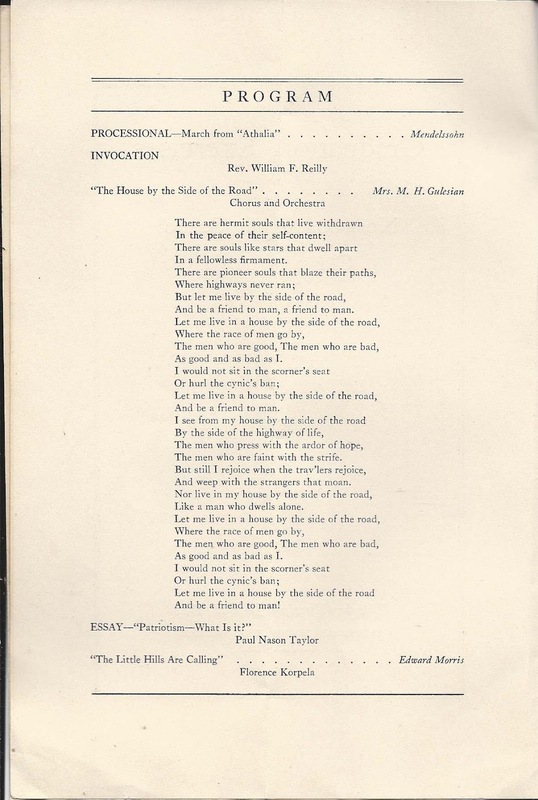 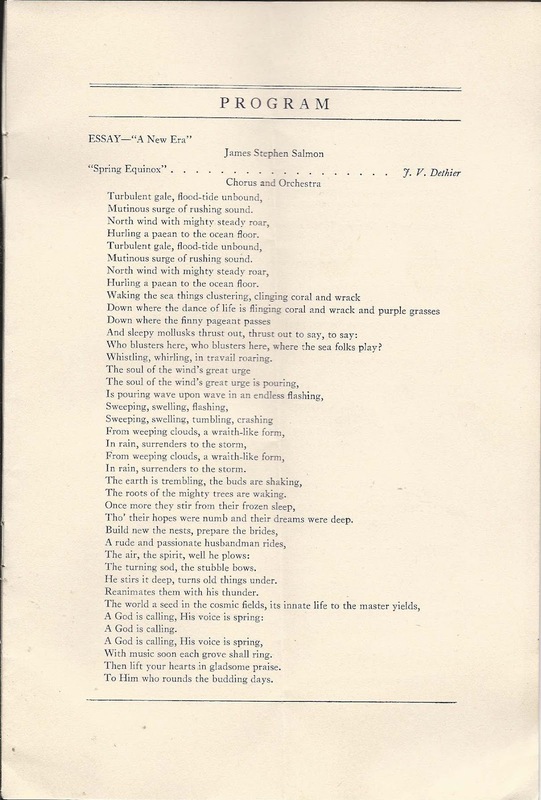 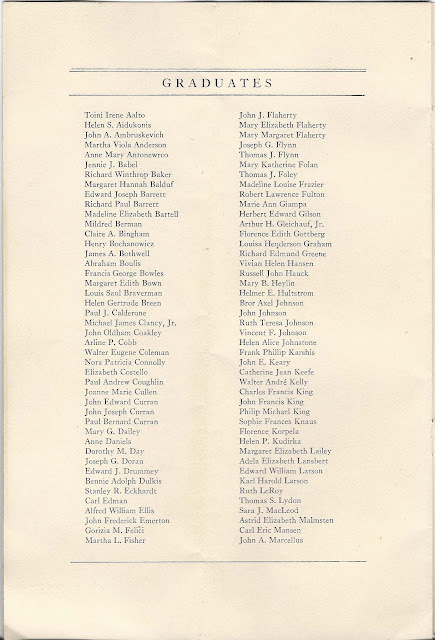 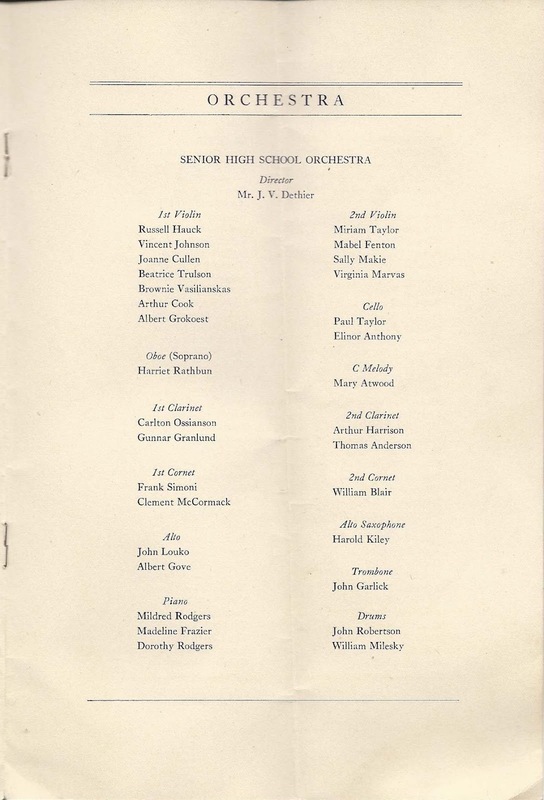 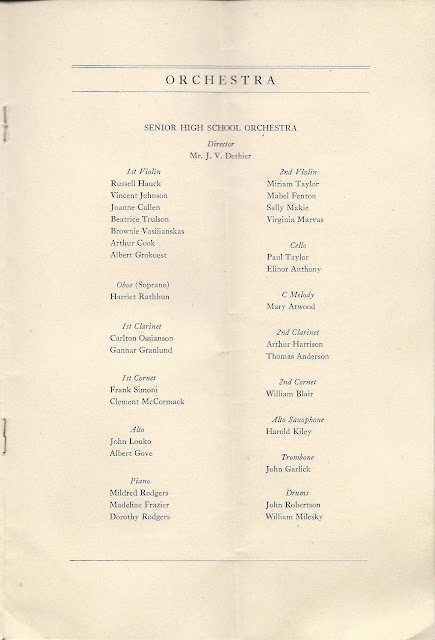 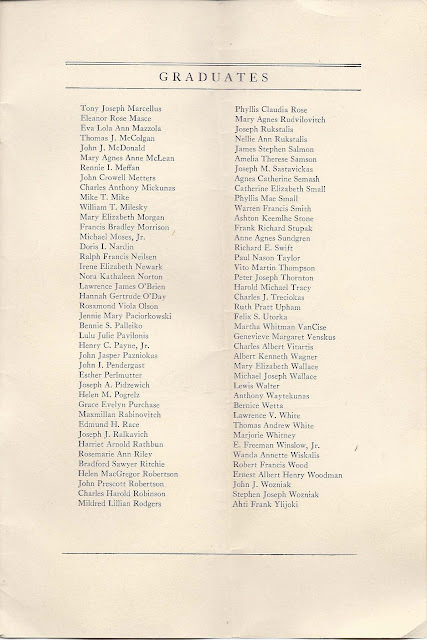 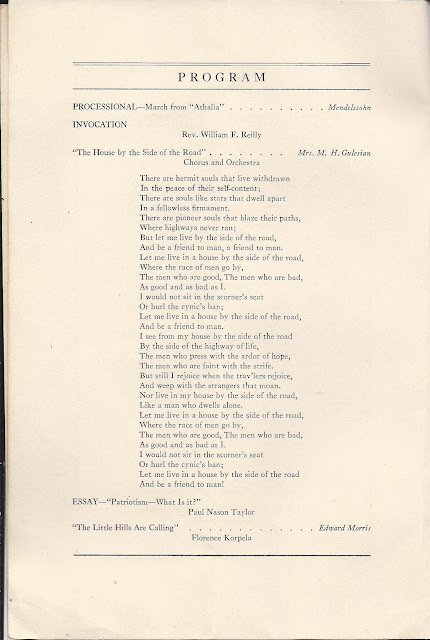 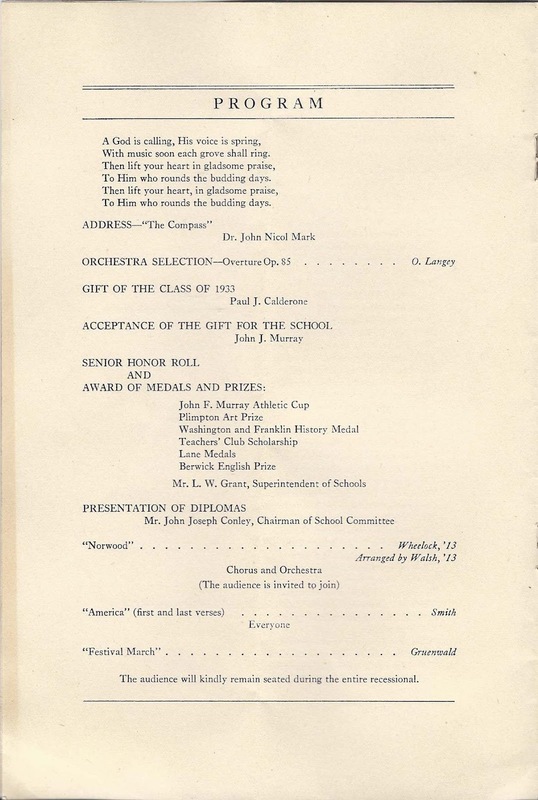 Essay - "A New Era"
Below, two pages of names of the graduates, in alphabetical order.